Serie A side Fiorentina could heading to Malta for a training camp during the Serie A winter break. Fiorentina are mulling the possibility of holding a short training camp in Malta during the Serie A winter break, the Times of Malta has learnt. Traditionally, top Serie A sides hold short training camps during the Serie A recess between December and January as they look to give their players the opportunity to recharge their batteries for the second part of the season. 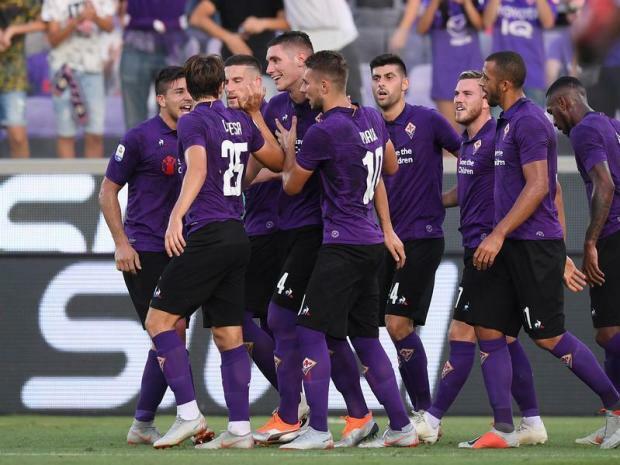 Fiorentina are looking into the possibility of bringing their first-team squad in Malta for a short training camp under the charge of coach Stefano Pioli. Contrary to other reports, Fiorentina have yet to make a final decision on where they will be holding their winter training camp and are keeping Malta as one of the possible destinations next month. Sources have told timesofmalta.com that a delegation from the Fiorentina will be travelling to Malta early next week to inspect the training facilities in Malta. It is understood that if the facilities here meet the standards required by the Viola officials they will then give their go-ahead to bring the Serie A side to Malta. This is not the first time that top Serie A clubs have chosen Malta for their winter break. In 2007, Milan came for a one-week training camp in January under the charge of then coach Carlo Ancelotti who went on to lead the Rossoneri to the Champions League triumph. The following year it was the turn of Juventus to make the trip to Malta and during their stay they also played a friendly against Valletta, with the Malta champions coming out on top after a penalty shoot-out.